Running from Ravenscar to Filey (24 miles, should have been nearer 21 but we got misplaced along the way :) ). 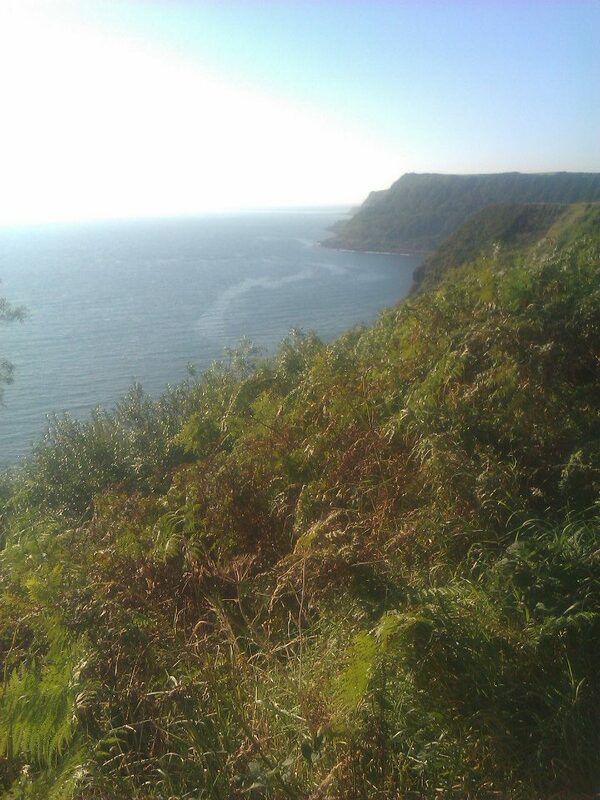 We dropped one car at Filey and then drove back to Ravenscar. In terms of missing kit this time I managed to leave the vaseline in the car at Filey and leave my socks at home! I had a sinking feeling that there would not be many sock shops open on Sunday morning before 10 am between Filey and Ravenscar. We did try a couple of shops, but no joy. 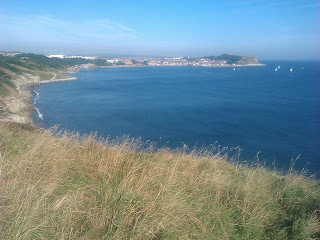 It looked as though my only hope was that we would find a shop at Scarborough as we ran back towards Filey. The runners for second recce were Phill Turton and Tim Bateson . Alistair Stewart and Ultra Moorsman were both DNSers. After the chips and pork pies of the last recce. This was more of a conservative array of food. My nutrition for this shorter run comprised of a jam and peanut butter sandwich being chomped as I power walked up a hill, washed down with a coke. Whilst Phill want for coke and a gel. As we reached the outskirts of Scarborough. The decision(mistake) to leave my socks at home was starting to take affect. I was getting a hot spot on the back of my left heel and decided to stop and take a look at my heel. There was a lovely bright red section of skin and a matching blister. After borrowing a plaster from Phill we were on our way again. On reaching Scarborough we fuelled up on cola and managed to find a shop with socks on the sea front! Happy days my feet were very happy to feel some soft cotton around them and I set of with a spring in my step towards the far side of Scarborough. Was not long before we were passing the castle and heading out of town. 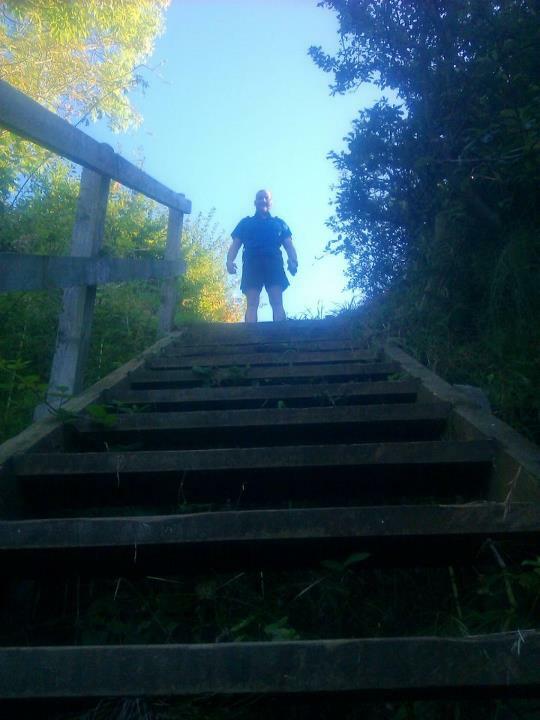 Really enjoyed the views of Filey Brigg and that is a very runnable section. 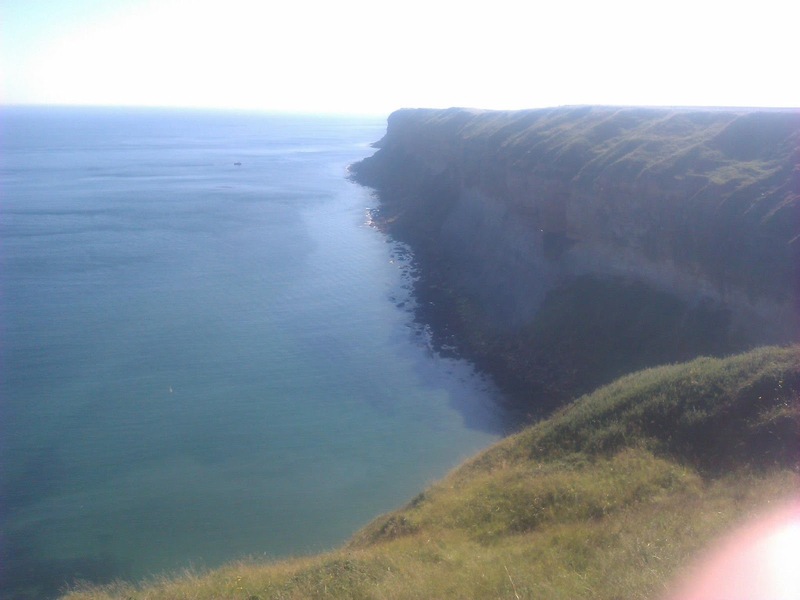 Then it was down into Filey and back to the school. After running the course (minus the starting loop). I am really looking forward to race day. 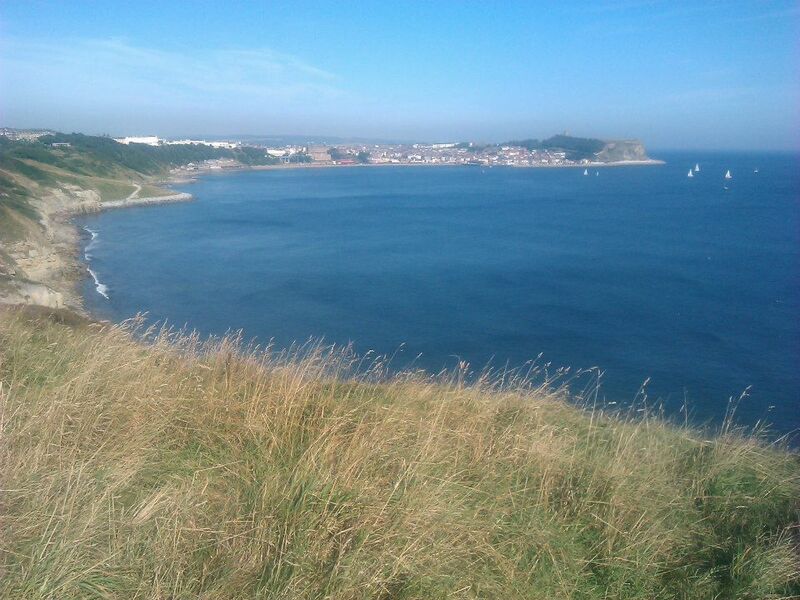 Both times I visited the course we had great weather and the views along the coastline are excellent. The course is very runnable apart from coastal ravines. The ravines do tire your legs though and I will be conserving energy on these sections and saving my legs for sections that allow for easier running. If you are on the course during shop opening times there are plenty of shops and toilets on route, so I will be carrying some money with me to buy extra drinks or food if I need them. Course navigation was by and large very easy. There are a few turnings where you can make slight mistakes. But you will either end up in the sea or running inland if you make a mistake. So it does not take long to realise you maybe going the wrong way. 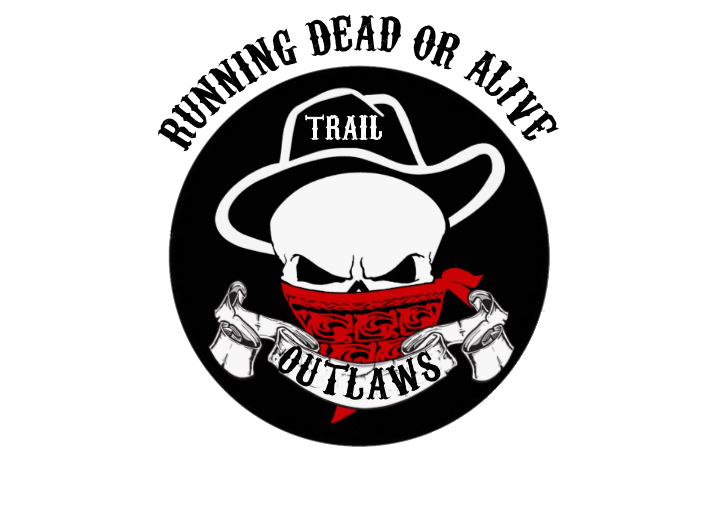 The Hardmoors 60 is only my second Ultra so my primary goals are to enjoy the running and make sure I finish. Hopefully see you on the start line.